Islamabad: PTI Chairman Imran Khan was officially sworn in as Prime Minister today and it looks like there was as much scrutiny over his oath as there was over First Lady Bushra Imran's attire. 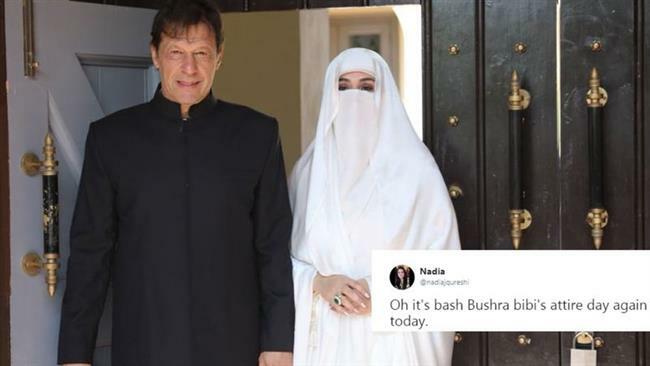 Bushra's choice to veil herself has long been criticised as unbecoming of a potential First Lady and the conversation appears to have resurfaced now that she's assumed the position. Criticism of Bushra's veil has rightfully been called out, for not only is it yet another instance of unwarranted policing of women's choices but also indicative of another unacceptable trend: judging men for the choices made by the women in their life. The burqa can be a political statement but it's clear that Bushra doesn't intend to step into the public eye. She wishes to remain a private individual and her veiling precedes her marriage to Imran Khan and his subsequent coming into office. Therefore, it makes little sense to relate Imran Khan's actions with his wife's attire. It's just another case of mainstream discourse needlessly focusing on female attire.